Join thousands of Screenwriters today! Download your FREE E-Book and start creating your world. 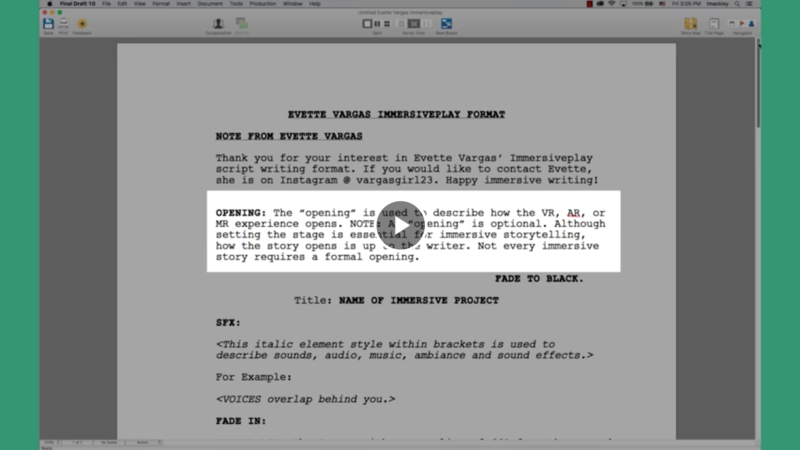 This introductory video features award-winning writer Evette Vargas walking viewers through the different uses of the NEW Final Draft VR script template. Learn how this powerful tool can help you build and explore your story’s interactivity when writing for Virtual Reality, Augmented Reality, Mixed Reality or Gaming. 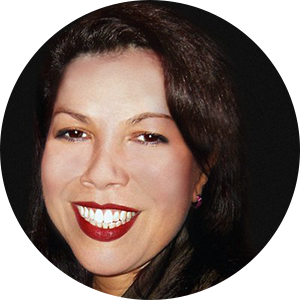 Evette Vargas is an award-winning writer, director, producer and immersive storyteller. Named by the New York Times as an “Artist to Watch,” Vargas’ work includes series for Amazon, MTV, Bravo, DirectTV; and interactive content for Fast And Furious, Lord Of The Rings trilogy and Madonna. Vargas exec produced, wrote and directed her digital series Dark Prophet, starring Henry Rollins, which was in contention for two Emmys and premiered at Sundance. Vargas wrote The Current War VR Experience, a companion piece for the film, starring Benedict Cumberbatch. A member of the Writers Guild of America, Academy of Television Arts and Sciences and Producers Guild of America, Vargas was born in the Bronx and learned to tell stories at the dinner table where the imagination ruled.